Maverik Lacrosse, a leading lacrosse equipment manufacturer that designs products for ultimate player performance, today announced that Major League Lacrosse (MLL) standout Ned Crotty has joined the company’s growing roster of athletes. 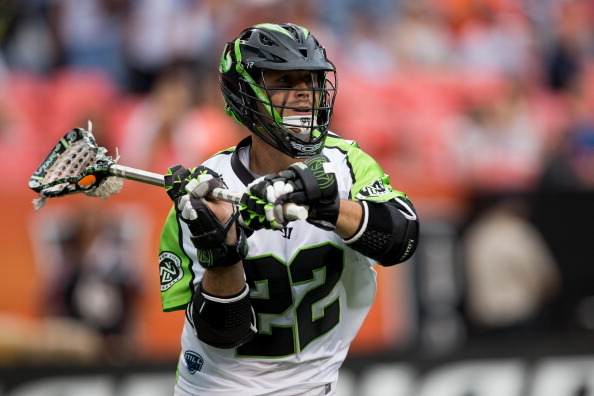 Crotty, an attackman with the MLL’s New York Lizards, was the No. 1 overall pick in the 2010 MLL Collegiate Draft after a stellar four-year career with Duke University. Crotty led the Blue Devils to the program’s first NCAA national championship and finished his collegiate career with 92 goals and 147 assists. He currently holds the all-time Duke record for assists in a season with 63. In his first professional season with the Chicago Machine, Crotty scored 11 goals and added 13 assists to earn the 2010 MLL Rookie of the Year. After the team’s relocation to Rochester in 2011, Crotty played three All-Star seasons for the Rattlers, compiling 60 goals and 57 assists. Last year, Crotty was traded to New York, where he finished the season with 25 points (18 goals, 7 assists) and earned his first MLL playoff berth. In addition to his success at the professional level, Crotty is a two-time member of Team USA, winning gold in 2010 and silver in 2014. Crotty, who will work with MAVERIK on future product development initiatives, will be one of the first players to debut the MAVERIK RX3 glove and protective line this summer. For more information, visit www.maveriklacrosse.com or follow Maverik Lacrosse on Twitter and Instagram at @MaverikLacrosse.